Good writing. The dialog/thought bubbles work real well in setting the mood for a despairing Gotham. Excellent narrative action. A lot of the modern graphic novels I’ve read recently are all flash and no bang in this respect. Stuff happens in this book, and all the POV characters have agency in propelling the plot. Batman in this Origin Story is not yet an indestructible juggernaut he can be in later iterations of the character. Bruce repeatedly gets beat up/shot and he is forced out of the action due to his inexperience. The art is excellent in an old school Art Deco/Film Noir sort of way. The characters look they’re exploding right off a newspaper funny page. However I’m reading this after reading modern stuff like ‘Saga’ and ‘The Wicked + The Divine,’ which have a much more detailed/colorful art style. I like the detail and colors of more modern work, but I did think this had charm. The characters as people are a bit touch and go. Lieutenant Gordon is a fully fleshed out person whose marriage is on the rocks because he’s working too hard trying to de-corrupt Gotham. However all the other main characters are a bit boring/2D. I never really got Batman’s motivation in particular. As this is an Origin Story for the character this is a major flaw. Also, Batman was a bit too… Batman-y. He lives to be Batman, he doesn’t seem to exist outside of the persona of the Bat. I have a hard time imagine Bruce Wayne going to a party and relaxing or having a hobby like knitting. Again, this is a problem with 2D characters. He’s so obsessed with Batman-ing that he has to pretend to have hobbies so no one suspects him. Why couldn’t the authors just give him hobbies instead? Some of the dialog/thought bubbles were hard to read. For some reason the producers of this thought it was a good idea to use cursive, which on my reading device became very cramped and at times unreadable. If you’ve seen the ‘recent’ Batman trilogy, you basically know the mood of this story. While the presentation of this novel is significantly different than the Christian Bale movies, the taste is the same. This classic Batman story was published in 1987. It’s meant to be the Origin Story for the character. 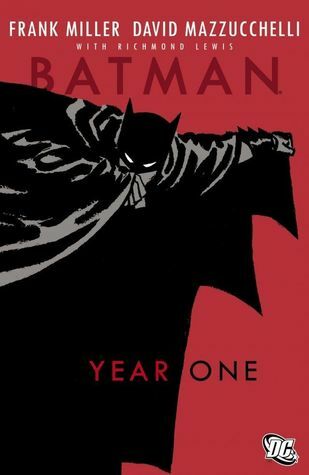 In this graphic novel we witness the deaths of Bruce Wayne’s parents and Batman’s (and Lt. Gordon’s) first major case. I’m keeping this review short because if you’ve seen one Batman Origin movie (particularly The Christopher Nolan Trilogy) you’ve basically read this book already. Don’t get me wrong, this graphic novel was ‘excellent’ in a qualitative sense; the art was iconic and the plot was simple yet brutally effective. Feel free to read this and have a good time.